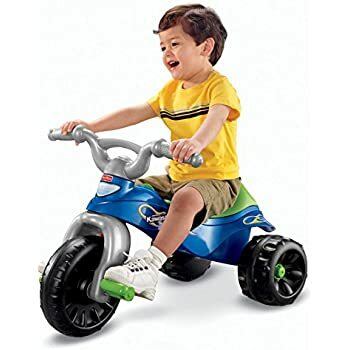 Razor Rip-Rider Tricycle is on sale for just $59.00 at Amazon, regular price is $129.99. This tricycle makes a very good gift for children. They would love to take turns riding it. It holds together well, even after bumping. The Razor brand is based in California. With products designed to suit riders' evolving lifestyle, Razor is a trusted brand and industry leader from snowboarding, skateboarding to surfing. Radio Flyer 4-in-1 Trike, Red 这个4合一的小孩三轮车， 可以让小孩子从9 months 一直用到 5 years。 原价110刀， 现在打折$76.94 with free shipping. 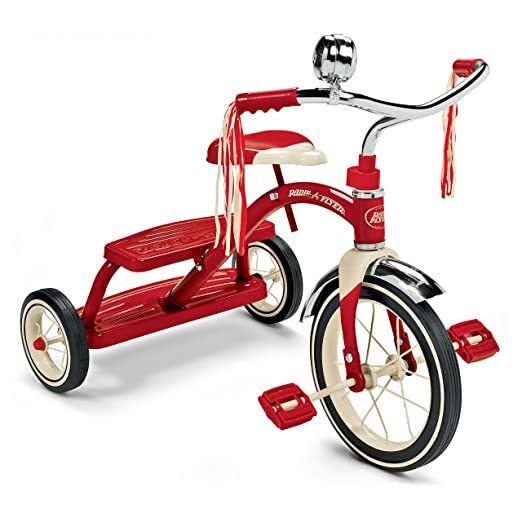 Amazon this highly rated Radio Flyer Classic Red Tricycle, 10-Inch for the lowest price of $38 (reg. $59.99) + FREE shipping! Or get FREE 2-day shipping (no minimum!) with Amazon Prime. 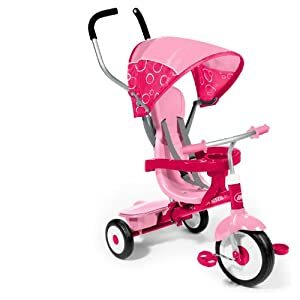 Amazon 这个4合一的小孩三轮车 Radio Flyer 4-in-1 Trike in Pink 降价 for just $65.99 (regularly $99.99) with free shipping. This trike offers four ways to ride and accommodate ages 9 months to 5 years – it easily converts from an infant trike to a steering trike to learning to ride trike to a classic trike. Today only, Amazon is offering up to 40% off select Kids Ride-on toys. 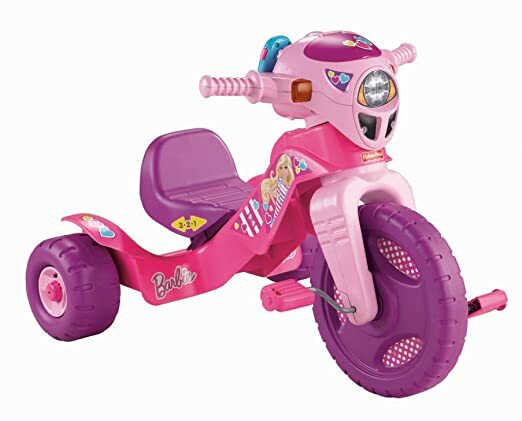 This highly rated Schwinn Roadster Tricycle in pink, Red or Hot Blue for just $56.99 shipped. 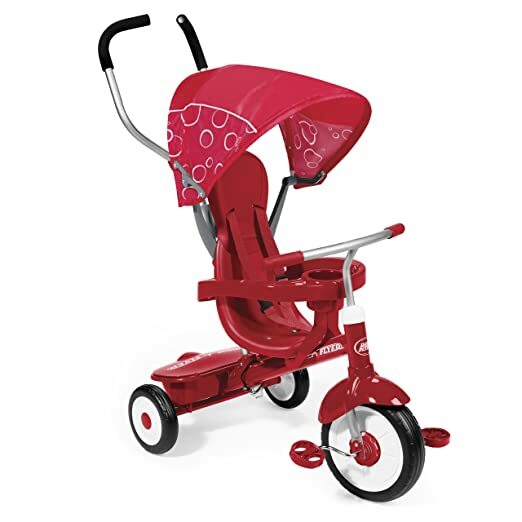 This tricycle features a full-steel and heavy-duty frame and a real wood back deck for an added passenger. It also has a sculpted seat adjustable for growing riders and a chrome handlebar with padded grips, long tassels, and a bell. 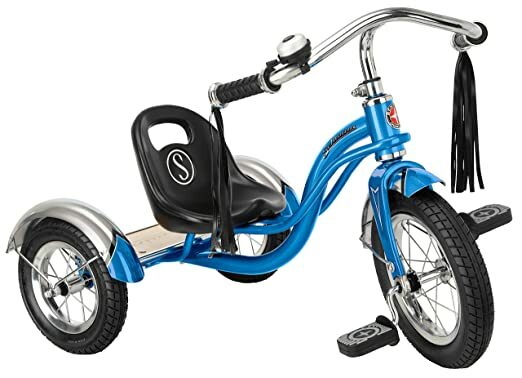 Today only, ToysRUs.com this highly rated smarTrike Dazzle 5-in-1 Trike for just $95.99 shipped (regularly $159.99). Featuring a padded reclining seat, UV canopy that extends, bottle holder, play phone, huge storage, shock absorber and parent brake, this smarTrike is designed for ages 10 months-3 years old. 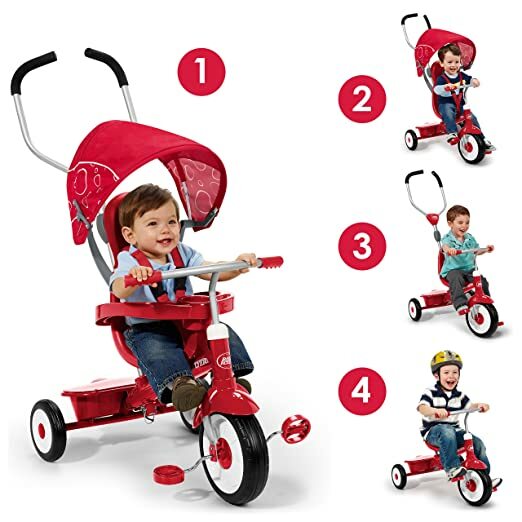 Amazon.com now this Radio Flyer 4-in-1 Stroll ‘N Trike on sale for just $62.99 shipped (regularly $109.99). This trike offers 4 ways to ride to accommodate ages 9 months to 5 years –> it easily converts from a stroller to a steering trike, learning-to-ride-trike, and finally a classic trike. It features removable wrap around safety bars with cupholder and snack tray and a 3-point harness. 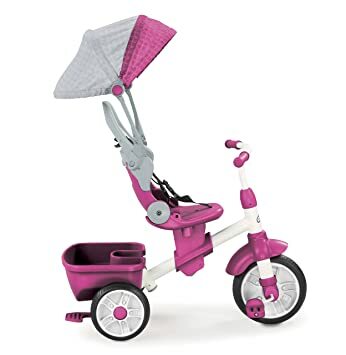 Walmart.com now you can get this Fisher-Price Tough Trike in Pink Plaid or Camo for only $15 (regularly $39.97). Choose free in-store pick up. This Fisher-Price Trike accommodates children ages 2 to 4 and features big foot pedals, easy-grip handlebars, a secret storage compartment under the seat and more! 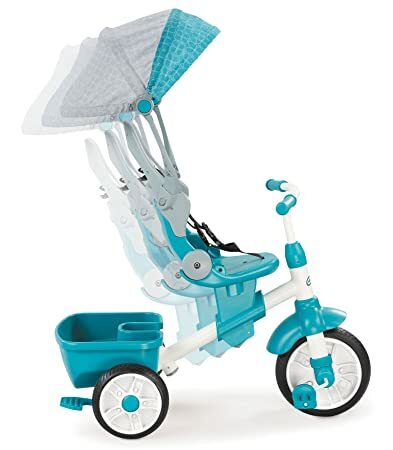 Amazon.com now you can buy this Little Tikes Perfect Fit 4-in-1 Trike for just $58.84 shipped (regularly $99.99) – lowest price! 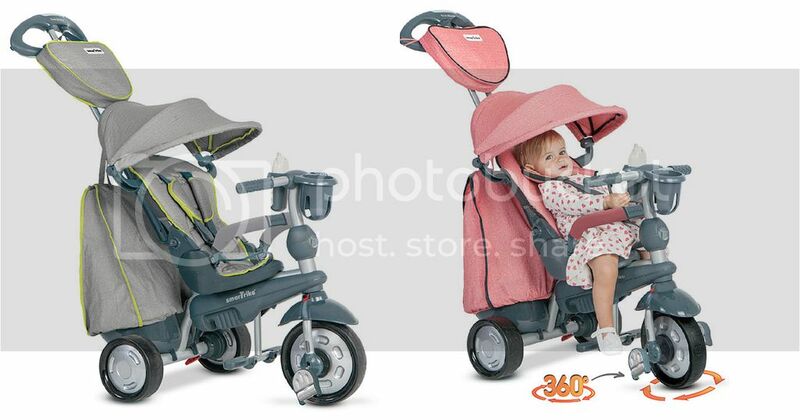 This 4-stage trike grows with your child and is perfect for on-the-go travel! 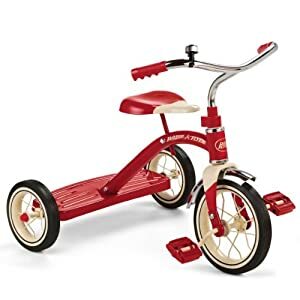 Amazon.com now is offering up this highly rated Radio Flyer 12″ Classic Red Tricycle for just $49.99 shipped (regularly $69.99). 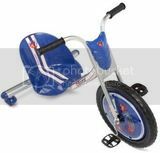 This tricycle has a chrome bell that rings and is recommended for kiddos age 2.5-5yrs. Today only, Amazon is offering up to 25% off select Fisher Price Power Wheels AND all of these items ship for free! 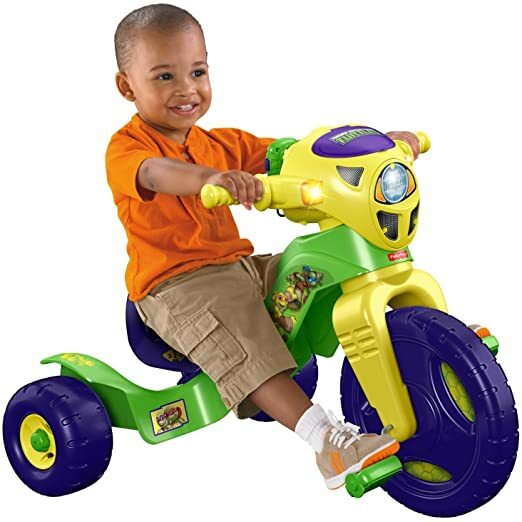 Fisher-Price Kawasaki Tough Trike for just $26.02 shipped (regularly $34.99). Designed for kiddos ages 2-5, this three-wheel trike features durable tires, big foot pedals and even has a secret storage compartment under the seat! 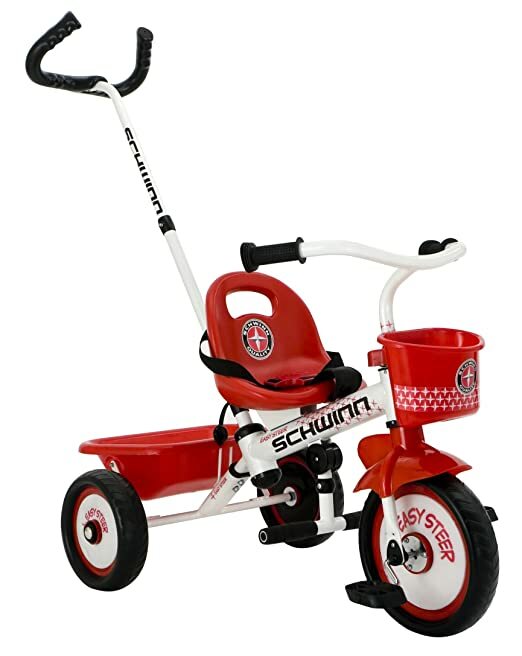 Amazon.com now you can buy this Schwinn Easy-Steer Tricycle in Red & White for just $44.86 shipped after clip a $30.88 off coupon. This tricycle has a removable push/steer handle that allows adults to control steering and speed, a heavy-duty frame, wide tires, and a gravity lock dump bin so kiddos can bring their toys along for the ride. Amazon now you can get this Nickelodeon Teenage Mutant Ninja Turtles Lights & Sounds Trike for just $36.46 shipped (regularly $56.99)! This trike features lights, sounds, music and a talking “walkie-talkie”. 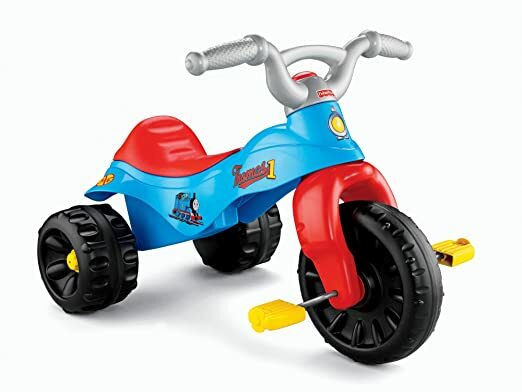 It also has an oversized front wheel to help toddlers pedal faster, a wide wheel base for stability, easy-grip handlebars, slip-resistant pedals, and an adjustable seat that grows with your child. It’s perfect for any Teenage Mutant Ninja Turtles fan on the go! Today, December 5th only, Amazon now you can get up to 50% off select ride-on toys featuring Barbie, Disney Princess, Doc McStuffins, Frozen and more! 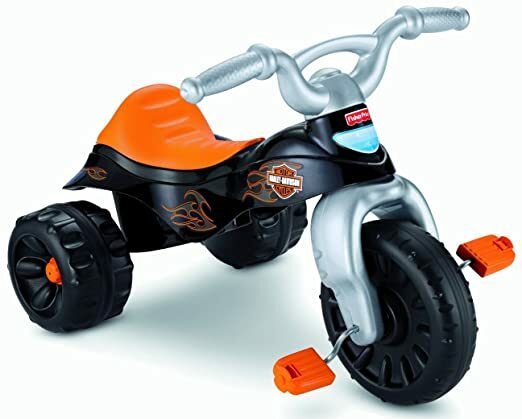 Fisher-Price Harley-Davidson Tough Trike is just $49.99 shipped (regularly $99.99). This pedal-powered trike has big pedals and hand grips for little kiddos and a secret compartment under the seat. On Target.com you can now buy this Little Tikes 2-in-1 Cozy Roadster for just $29.99! This ride-on toy features an adjustable handle that can be attached to the front or back of the vehicle for pushing or pulling kiddos ages 18 months and up. The tires are suitable for both indoor and outdoor use, and it has a real working horn.